The Legal Bookkeepers Institute was established to provide law firms with a convenient and affordable way to learn about trust accounting. The purpose of which is to protect your clients interests and your firms reputation. The Legal Bookkeepers Course is practical, non-academic and interactive and uses examples from real practice in firms. The sessions will include compliance with legislation and outline the records to be maintained by a law practice, the information recorded on those records and the reports required to be produced. 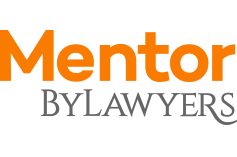 By Lawyers Mentor is a confidential service provided by By Lawyers where you can have your questions answered by experts in the common areas of law. If you are a lawyer in a solo or small firm, or even in a larger firm without ready access to a senior lawyer or partner, you might not have access to someone with the knowledge and experience to help you to get unstuck. Often your question is a practical one and not the type of thing you would ask a Barrister. You also want your question and the answer to be confidential. And you need an answer quite quickly. By Lawyers Mentor covers all the common areas of law and is a firm subscription, so anyone in your firm is entitled to use it. There is no limit to the number of questions you may ask. Team Leasing is a market leader in tailoring finance for business equipment solutions, meeting the needs of both customers and suppliers alike. They develop sales aid financing programs for technology equipment and software that stimulate growth by providing a cost effective and easy way for your customers to acquire equipment or services. Their objective is to give your business measurable value in terms of increased orders and opportunities for margin growth. Team Leasing also specialise in helping businesses grow by providing quick, simple and competitive finance and leasing solutions for business related equipment and motor vehicles. 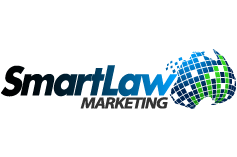 Smart Law Marketing is a specialised consulting business providing marketing and management advice and services to small and medium law firms around Australia and New Zealand. In summary, our various services assist the management of firms, manage their growth, improve their financial performance, formulate and execute proven marketing plans, provide marketing 'turn-key' services and help career path their staff. We Write Your Newsletter Service - for those with no time to do it! To watch a short 2-3 minute video describing our services in more detail, visitwww.smartlawmarketing.com.au. 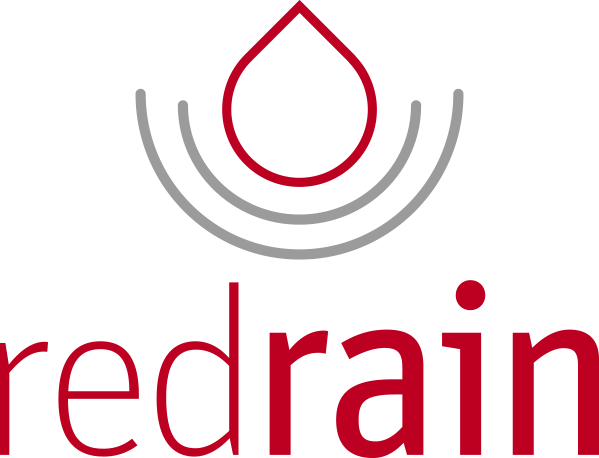 Red Rain is an established systems consulting and software development business specialising in the needs of the legal profession and have been working with LEAP since 2009. RedView Client Portal : Provides your clients with secure internet access to specified matters and documents. RedView Convey: Provides secure mobile phone access for conveyancing clients. RedView Mobile Lawyer: iPhone and iPad access for lawyers and staff. LEAP in the cloud clients also have access to Custom Reporting: Red Rain can build specific, custom designed reports for you. Secure Print is accredited by the Australian Payments Clearing Association as a producer of cheques of the highest quality and with all the latest security features needed to minimise the growing risks of tampering and cheque fraud. In a joint development, LEAP Accounting is pre-configured to work with cheques produced by Secure Print so their software and cheques work well together. To make it easy for you Secure Print obtains Bank Approval on your behalf at no extra charge and guarantees that your cheques will be APCA Publication 11.5.1 compliant. 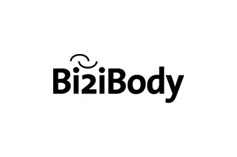 Bizibody Technology is a specialist practice management and legal technology consultancy serving law practices, corporate legal departments, bar associations, the Attorney-General's Chambers and the Singapore Law Courts. Operating out of offices in Singapore and Malaysia, Bizibody Consultants are former lawyers, practice managers and IT specialists with in-depth industry knowledge of the work processes and business challenges facing law practices today. CPD for Me specialises in assisting solo and smaller law firms by providing a simple and easy online eLearning platform for you to obtain and track your mandatory MCLE / MCPD points including the three compulsory subjects and is available anytime, anywhere, on any device. Subscribers can access over 100 on-demand seminar videos or participate in weekly webinars which showcase a variety of industry experts with proven results, experience and the unique ability to share their knowledge in a practical, simple and concise way. Clarence is the largest independent Legal Chambers in Australia. Over 200 lawyers already take advantage of the benefits that come with being part of an extensive network of Solicitors and Barristers. From informal sharing of precedents, referrals between members, inclusion in our online legal directory and the ability to take a holiday knowing your clients will be looked after, we provide you all the assistance you need to succeed in your legal practice. Clarence services range from professional telephone answering through to private lockable offices you can make your own. If you need ‘everything but the office’ simply using our credible CBD address for business registration and marketing purposes will give your clients the right impression. Members also have access to a range of comfortable, technologically enabled meeting rooms in multiple CBD locations and a range of exclusive member benefits that save both time and money. At Clarence we strive to offer our members all the benefits of a large legal practice with none of the disadvantages. Fusion Broadband provides broadband bonding solutions for most broadband technologies such as: ADSL, SHDSL, NBN, Fibre, 4G and wireless. Fusion Broadband is a unique Internet bonding service – not an ISP. Fusion Broadband simply fuses multiple broadband connections together (ADSL, NBN, Fibre, SHDSL, Wireless and 4G etc) to make a much faster and more reliable connection. We provide businesses with an easy, affordable, broadband bonding service that is ISP independent and provides customers ultimately what they need; high speed data connections with more reliability and stability. Our solutions can be provisioned as an add on service to existing broadband connections supplied through any ISP. Additionally, we provide a far superior Multi-Office connectivity solutions which replaces the needfor VPNs and their related equipment. Fusion Broadband is generally a better option for businesses who need increased speed for their office/Cloud or wish to add redundancy to avoid internet outages.